PARIS (Reuters) - Airbus shares rose on Tuesday after the European planemaker won a deal worth tens of billions of dollars to sell 300 aircraft to China. 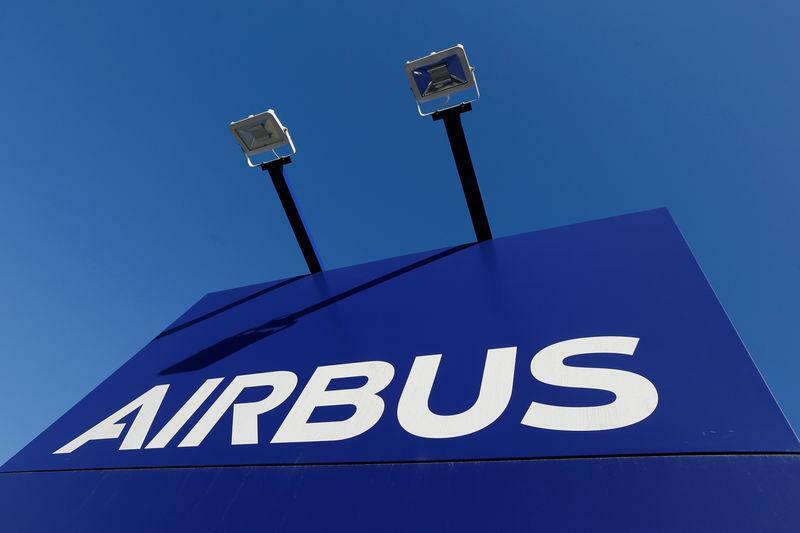 Airbus was up 2.7 percent by 1208 GMT, with the stock having risen nearly 40 percent so far in 2019. French officials said the deal was worth some 30 billion euros (25.6 billion pounds) at catalogue prices. Planemakers usually grant significant discounts. Investment bank Citigroup kept its "buy" rating on Airbus. "We do not have details of the delivery schedule of this order, but China has been taking about 20-25 percent of Airbus production per year and given the A320 family is sold out at announced production rates out to 2024/25, we believe this increases the probability of Airbus moving to a production rate of 70 per month," wrote Citigroup. That positive view was echoed by Morgan Stanley, which kept an "overweight" rating on Airbus shares. "Clearly finalisation of this order is a positive for Airbus, and continues to underpin strong order book coverage and rising production rates in narrowbody," Morgan Stanley said. It also comes as the grounding of the Boeing 737 MAX has left uncertainty over Boeing's immediate hopes for a major jet order as the result of any warming of U.S.-China trade ties.